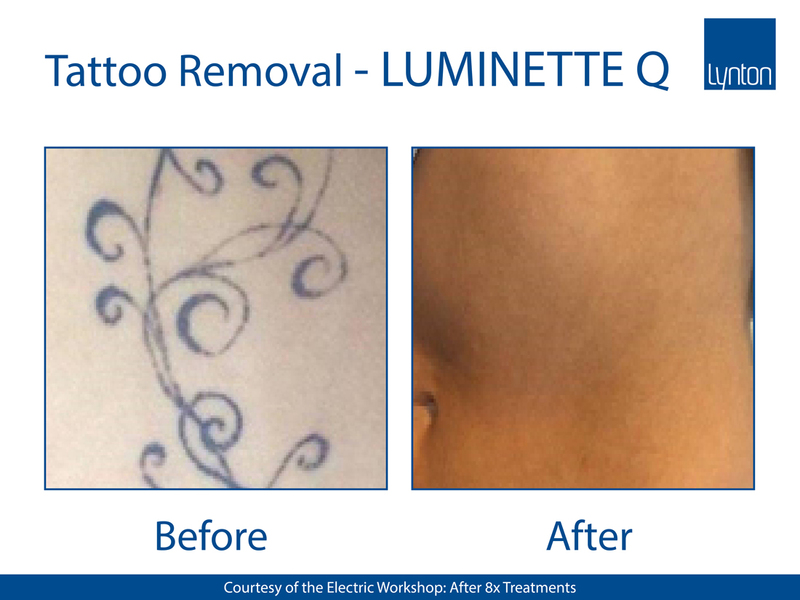 Whether your tattoo was from your earlier years or a more recent acquisition, it no longer needs to be permanent. 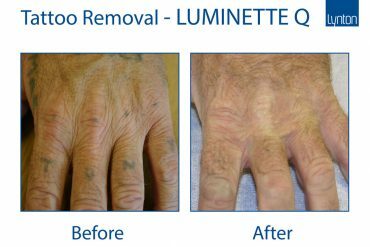 Elite Beauty Clinic is a leading laser tattoo removal clinic in Yorkshire using the industries safest, most advanced laser technology. 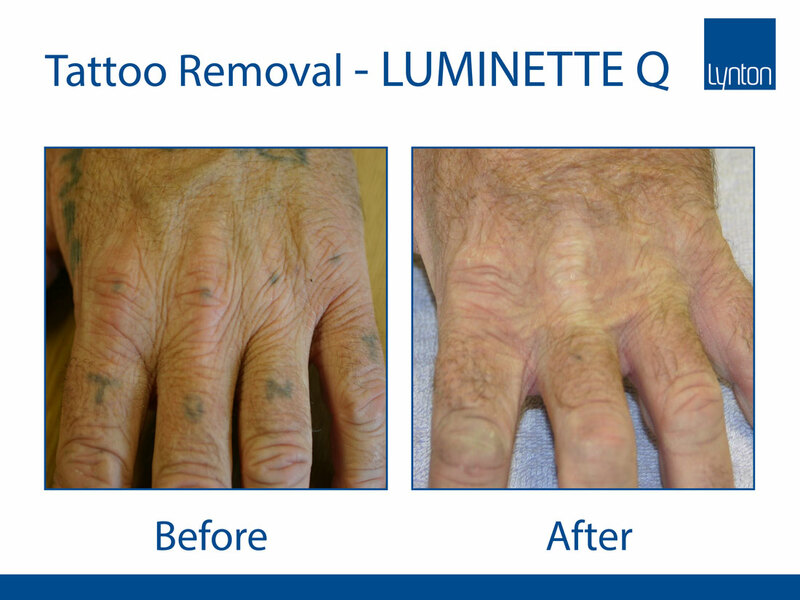 Our laser tattoo removal specialists treat many tattoos removals. 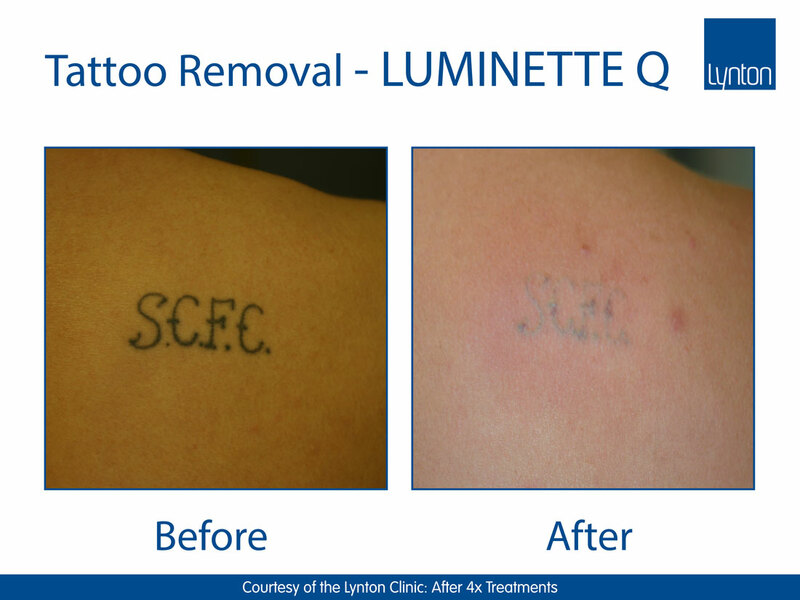 We can treat all tattoo sizes and all treatable colours, including green and blue inks. 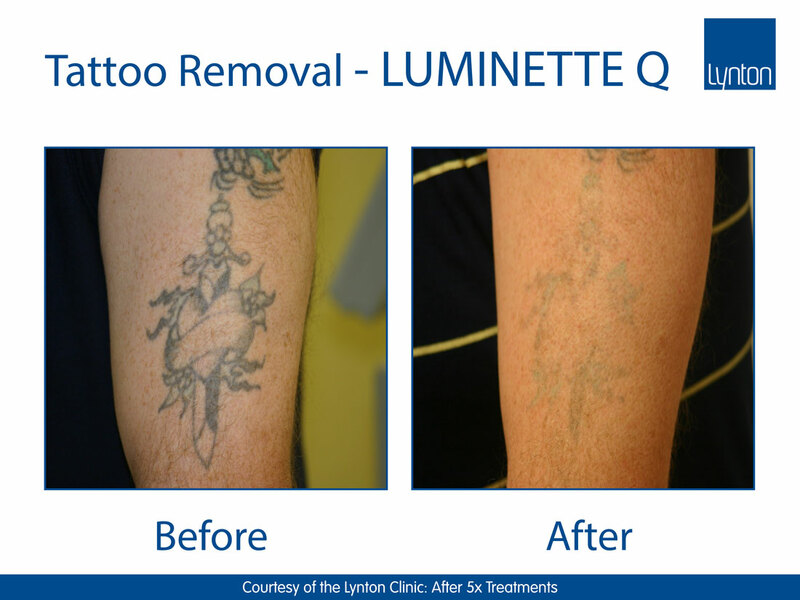 We use the latest in Lynton tattoo removal technology where we prove that Laser tattoo removal is a safe and effective way to remove those unwanted tattoos. 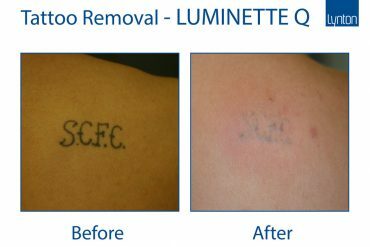 Q-Switched Lasers are considered by dermatologists to be the most effective, safe and reliable way to remove unwanted multi-coloured tattoos with consistent predictable results. 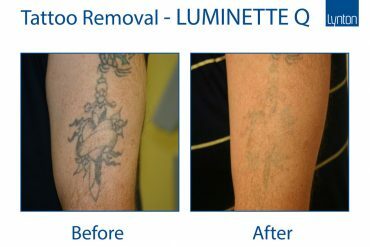 How does a tattoo removal laser work? 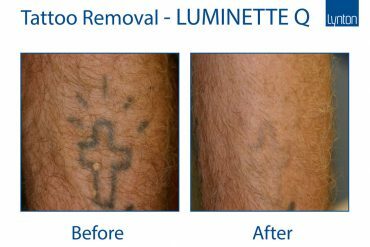 Q-Switched Lasers that generate a high powered beam of laser light in an extremely short pulse are the most suitable lasers for tattoo removal treatment. 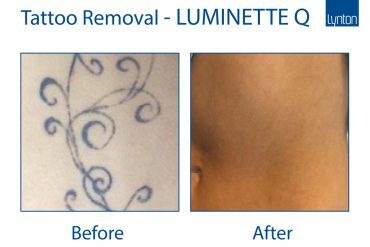 The very short pulse of high powered laser light is absorbed by the tattoo ink particles, breaking them down into smaller pieces, enabling your natural immune defences to absorb and disperse the ink. 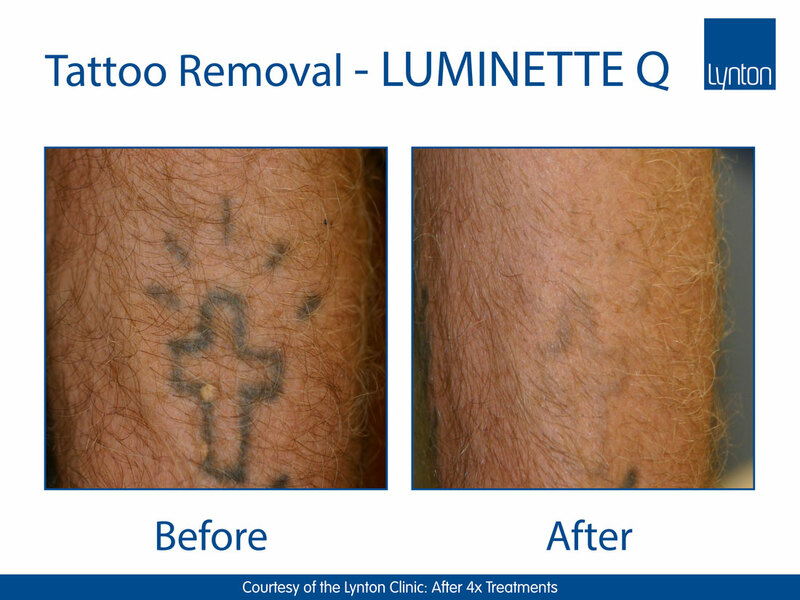 A gradual fading of the tattoo occurs over a series of treatments. 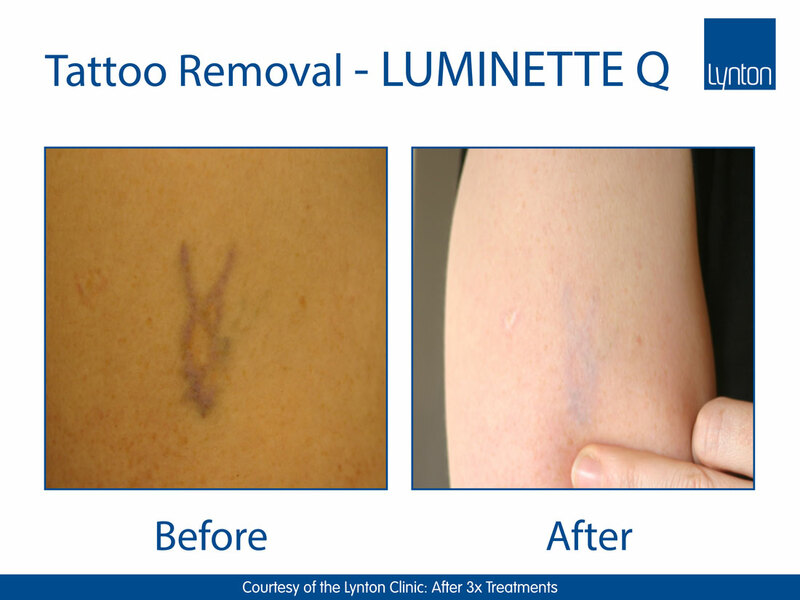 The skin will be cleaned and then the laser applicator is passed over the tattoo releasing quick pulses of light. An audible ‘clicking’ noise is often heard as the ink particles shatter. After treatment, a soothing lotion and a light dressing may be applied. During treatment protective eye wear will be provided. Most patients describe the sensation as similar to a hot pin prick or the flick of an elastic band. Whilst mildly uncomfortable, most people tolerate treatment well. A skin cooling device may be utilised to reduce any discomfort. How does the skin look after treatment? 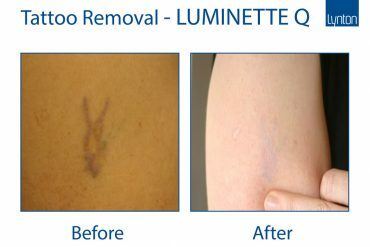 An instant whitening of the skin is seen after treatment, but this generally fades quickly. The area is likely to feel tender for a few hours and can be red and swollen for up to 48 hours. Some tattoos will form a graze which must be left to heal naturally. Initially the tattoo is unlikely to look any different but will fade over the next 4 to 8 weeks as the body disperses it. Very rarely the skin may become lighter or darker, or a small blister may form. Changes to skin texture or scarring is possible, though uncommon, and is more likely if any grazes are not allowed to heal naturally. There may be loss of the natural tanning ability in the area treated, which usually improves with time. This depends on several factors, including the density and colour of inks and the age of the tattoo. Amateur tattoos can be quick to remove, taking 1-6 treatments, whereas professional tattoos vary considerably and some can take up to 15 treatments. Treatment sessions are spaces 6-10 weeks apart. Prior to treatment you must first undergo a consultation. Before proceeding you will be asked to sign a consent form and undergo a test patch.